I was always curious about the interesting pastas on offer at California Pizza Kitchen, and since the peking duck pizza did not turn out to be much of a disaster (in fact, it was quite good actually), I decided to give Daphne a little pasta treat. 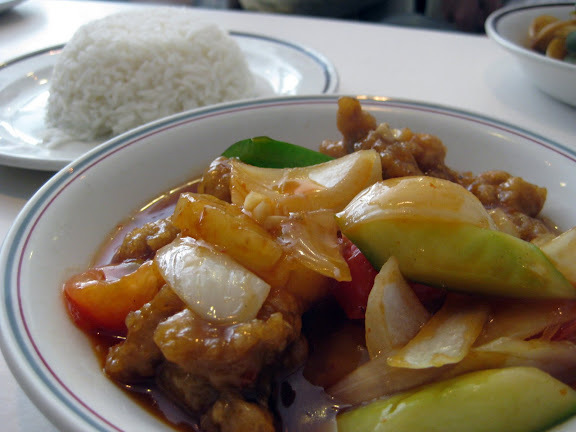 "A classic Kung Pao sauce with garlic, green onions, peanuts and HOT red chilies. 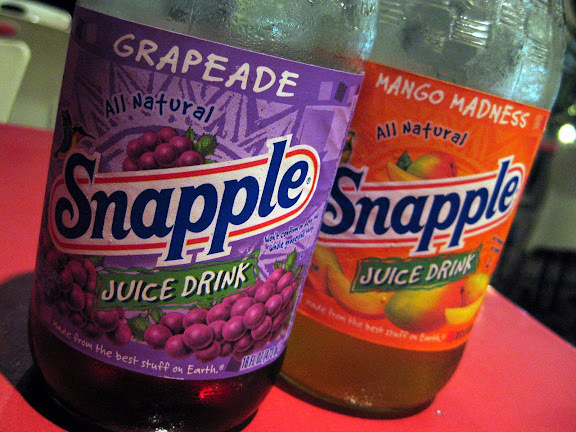 Also available with chicken, shrimp or chicken & shrimp." Well, trust the Americans to think a few dried chillies would be that "HOT". 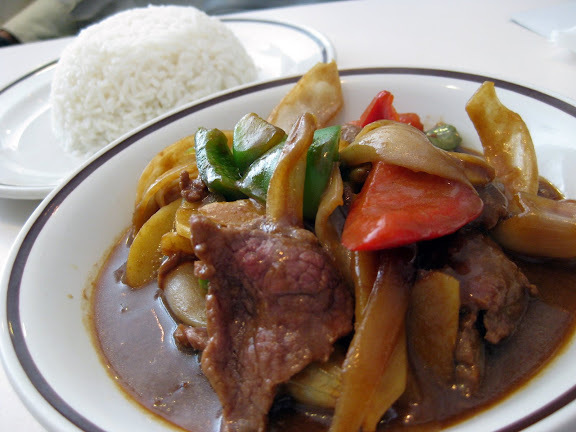 It came out a mix between sweet and spicy, and I have to admit that I enjoyed this dish more than I expected. The first couple of forkfuls needed a little getting used to, but it was fine from there on. The nuts added a bit of crunch to the noodles, even if I chose to pick them out as mini-appetisers for myself. Go ahead and add some cheese to the spaghetti, or even chilli flakes if this is not spicy enough for you. Some may feel this is a little too sweet for them but I think it's tasty and just nice. The chicken was very tender while the prawns were succulent. "Blackened chicken and shrimp in a spicy Jambalaya sauce with crawfish, Andouille sausage and Tasso ham served on linguini fini and topped with fresh green onions." I initially wanted to order this but couldn't because of the pork sausages and ham. Daphne said this wasn't too bad as well, in fact she prefers this to mine. It's a very filing portion and she couldn't finish it, so ladies might want to order one to share especially if they are on a carbo watch. The linguine was slightly drier/harder than my spaghetti though, so you might like to ask for a change of pasta to spaghetti. Contrary to online forums slamming the service here, I think service was actually very good! The staff were very polite and obliging, and I do believe California Pizza Kitchen has hired extra pairs of hands to deal with the dinnertime crowds on weekends. They did take quite a while returning me my bill though, but given the crowd it's quite understandable. Mall is located next to the Hilton Hotel. Where would you go if you have a craving for good ol' traditional toast? Aside from the coffeeshops, which of these do you think serves the best toast - Ya Kun, Toast Box or the (comparatively) new kid in the block Old Town? I feel inclined to go on the side of Toast Box, and perhaps after reading this post you might understand a little better why. For some, this is supposed to be sinful goodness. The problem is that this french toast came soaked in oil, and you could imagine how it became even worse once the butter fully melted into the bread. I would have approved of their improvised layer of peanut butter in the middle of the toast, but oil, butter and peanut butter is too much of an overkill surely. Still, I ate it all up because I didn't want to waste $3.50. My dad had this, and all of us at the table agreed at first sight that it was too dark (the toast, not the lighting). Even if Old Town uses brown bread, it shouldn't turn out to be of this shade of brown, and the only explanation then is that it's a tad burnt. My mum prefers the peanut butter toast at Tong Shui because the bread is fresher and thicker there. My sister seemed to be the only one enjoying herself, to the point that she finished two of this by herself. The bread certainly does not look in any way soaked in butter/oil as mine was, and seems to have been toasted just nicely. My younger sister was the hungriest of the lot, and opted for some (instant) noodles. Tastes more or less like the real thing ie. instant noodles! 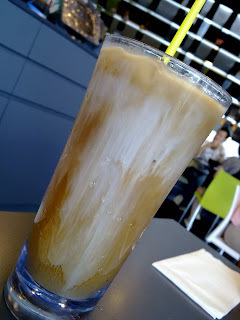 At least, Old Town's signature White Coffee did not disappoint. It was thick and sweet just as I like coffee to be. 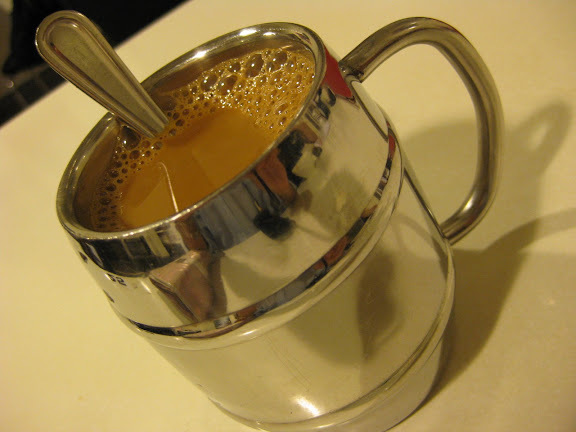 For the uninitiated, click the Wiki link here for an introduction to Ipoh White Coffee. Probably the best thing of the night really. Very professional, polite and friendly. 2. I wouldn't recommend their main courses as they are a tad over-priced. 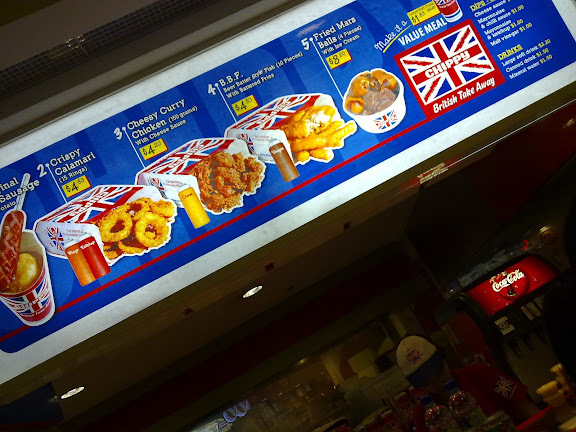 A Malaysian-based chain charging at least twice of what they charge back home. 3. Open till 12am on Fridays and Saturdays. Grafitti Cafe is a small eatery in Far East Plaza that houses the popular "Pontian Wanton Noodles" (some may recognise a similar stall at Orchard Heeren, though I'm not too sure if this one is still around) and has its walls are literally messed up decorated with grafitti, ranging from the artistic to the profane. It would be a nightmare for parents surely if they wake up in the morning to see their child's room in a state like this. Not that it matters to any of the hungry patrons here. 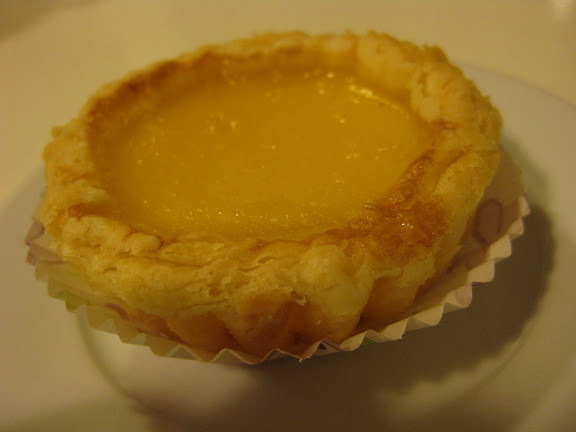 We weren't here for wanton noodles though, just some place for Daphne to have her favourite dessert. I found it alright, it was sweet enough and I like to slurp up the soft barley seeds. 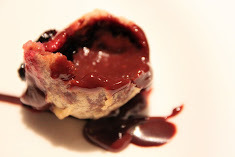 Daphne was mentioning how her aunt adds egg whites to her own rendition of this same dessert, though I've not come across such a variation as yet. Orchard Far East Plaza, #01-18/19. 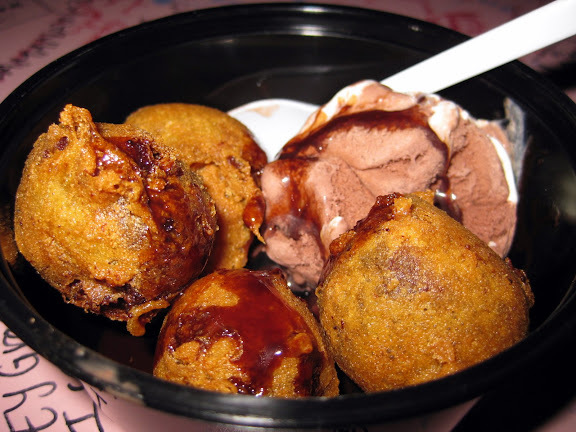 When I think of Fried Mars Balls with Ice-Cream, I'm thinking, that's just too good to be true. Indeed, it was, because it turned out to be a mighty disappointment. I've eaten quite a few fried ice-creams, the most recent one being at Fromage, but fried Mars balls is another thing altogether. These from Chippy are terribly oily and there's hardly a hint of Mars chocolate, and all you can probably taste is the distinctive batter used for its fish and fries. The only thing saving this little snack is the chocolate ice-cream, which to be honest is plain ordinary chocolate ice-cream. Anatolia has been around for quite some time now and has its share of regular customers, but the location of this small Turkish eatery (tucked in a corner of Orchard Far East Plaza) can be somewhat difficult to get the attention of curious customers. What can you expect from a Turkish restaurant? Well, kebabs of course! 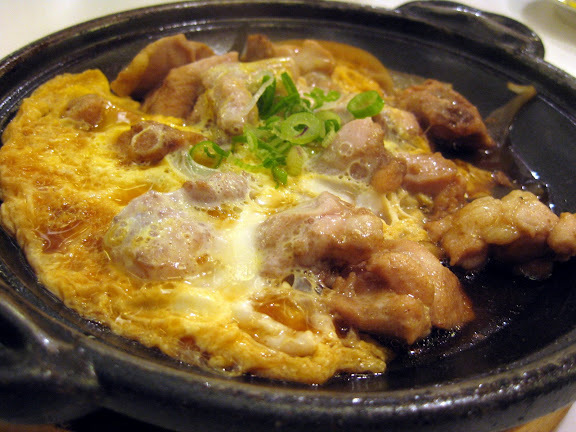 Most of the dishes here are meat-based, which is certainly enticing for carnivores like me. For $11, this is what you get, and I'd think that's pretty reasonable. I did want to try Anatolia's butter rice though, but they were too rigid on making any changes and insisted that I took the bread. I didn't think my pants would have space for an additional plate of rice, and so I passed on that. Next time perhaps. The beef slices were really tasty, though some may find it a tad dry. I think part of this is due to it being straight from the grill, where little oil is being used. The meat was also very fresh, and the portion just about right. Here's the bread, a pleasant complement to the beef. 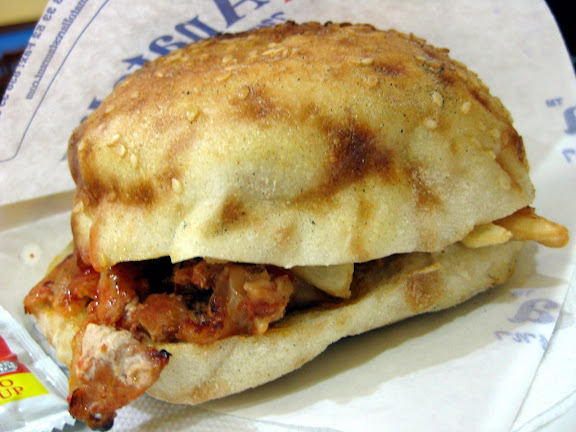 Daphne had this, which not only had chicken kebab slices in it but also onions, tomatoes, chilli, and even some fries. An extra plate of fries was served along with it as well. Comes with a drink. I still think mine is more filling though! Fair. They shouldn't be too rigid about changing bread to rice right! And like so many eateries in Singapore, I'm sad to say that even a Turkish restaurant like Anatolia has Chinese nationals as their waiters. A Chinese revolution indeed. $11.00 for the "beef portion"
2. You could try out their Turkish ice-cream, though I was observing the man serving the ice-cream and I think he was having too much fun flirting with his female customer, continuously pretending to put the cone in her hands and then taking it off before she could grasp it. At one point I was asking Daphne if this is some Turkish culture that we have no idea about, but I doubt it is haha. 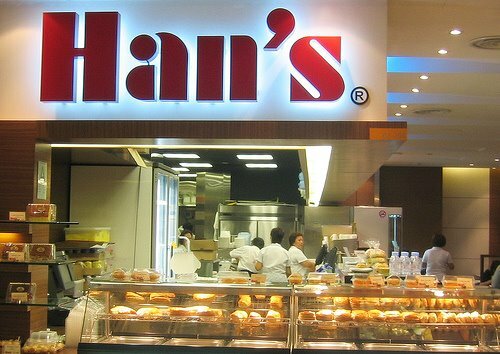 I always see Han's Cafe as one of those places for simple, no-frills type of meals, and it does have a pretty good variety on its menu. 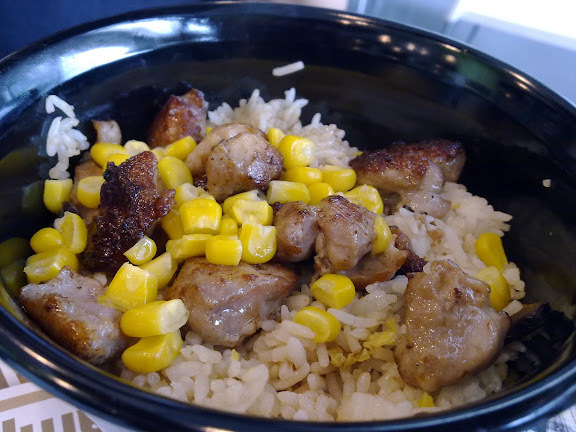 I think it's realistic not to expect too much of this humble chain of eateries, the food is satisfactory at best, but at least it's quite affordable and leaves you the option to try out some of its puffs and pies which I hear is quite nice. 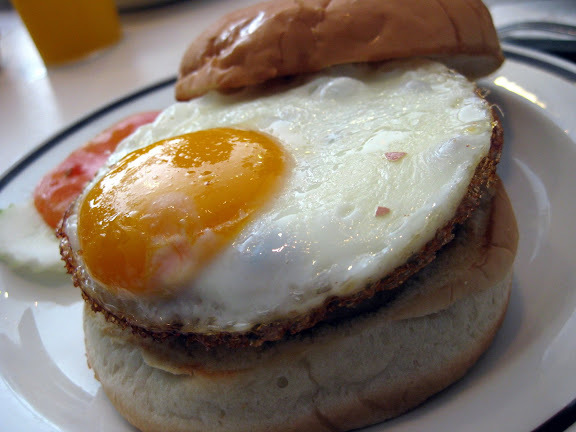 A simple burger, but what I like about it is the chicken patty, which has some herbs and spices that add flavour to it. 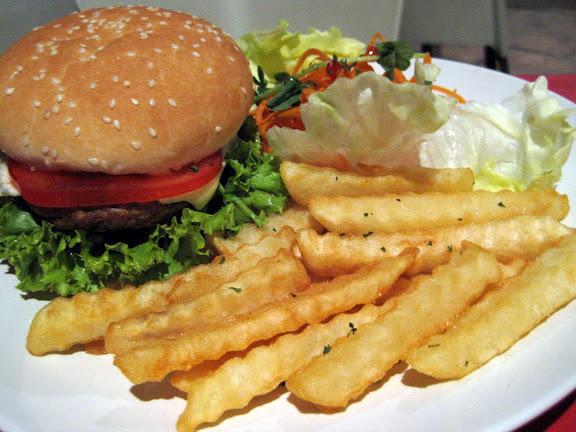 I was complaining to my peers though, that a burger is never complete without its fries! The set meals, if you refer to the menu, comes with the "soup of the day", a drink and a dessert (usually a slice of fruit or pudding). While the fish looked grilled well enough, what is odd is the addition of white radish (Singaporeans may be more familiar with the term "chye poh"), making my friend comment that at times he felt as though he was eating carrot cake! Alright. Can't expect too much of it during lunch hour. Sometimes you just don't want the night to end too early and all you would love to have is some place peaceful to sit and chat the night away. Of course, if you need some drinks, snacks or desserts to keep the conversation flowing, there's always the few 24hour places littered around this little island we call home. 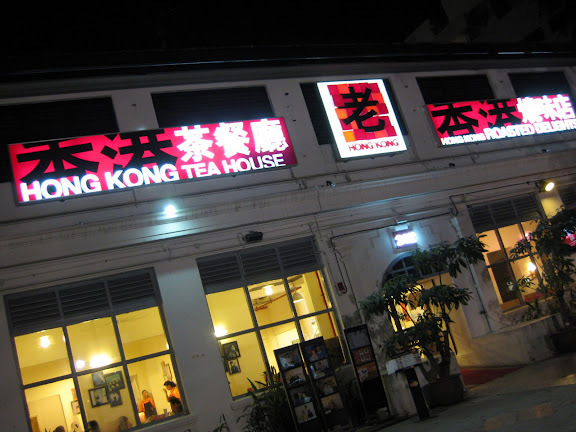 Old Hong Kong Tea House is one example of such cosy all-nighters that you can go for a simple snack or two. 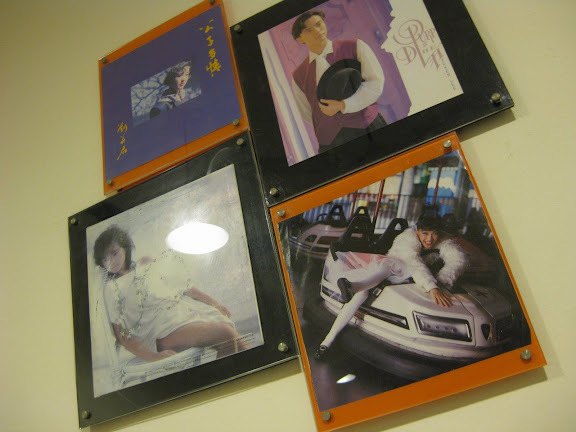 The whole place is designed to look like an old tea house (as the name so suggests), and is complete with not only retro furniture but also memorabilia like the pictures you see above. I have no idea who these "celebrities" are, but they do tell us that curly and side-parting hairstyles were the trends of the time. 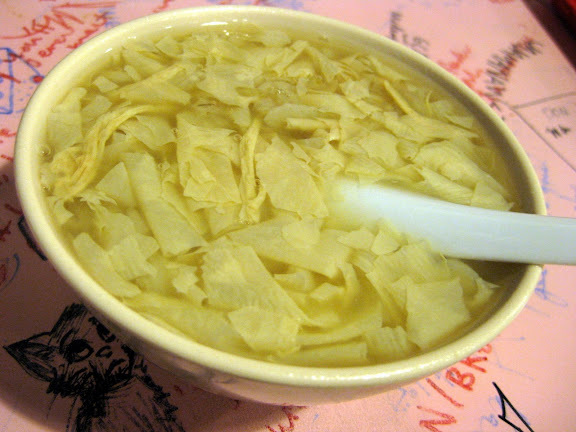 Old Hong Kong Tea House certainly boasts an extensive menu, but first-timers should be fore-warned that the food here isn't as cheap as compared to what I would call the "mainstream" Hong Kong cafes in Singapore like Xin Wang or Ci-Nai. I still believe though that you might like to give their main courses a try and see if they appeal to your taste buds in any way. The only reason I'm saying this is because two of the desserts that we tried, supposedly "bestsellers" in their menu, were disappointing. This was just alright, flaky crust with a soft centre. A tad too small though! Daphne liked this because it was creamy and tasted very natural. Still a low score for this however since the portion is just far too small to justify a $4.80 price tag. Gosh, this wasn't a good combination of tea and coffee at all, and I've tasted far better ones for sure. Free parking ticket worth $2 available after 9pm. 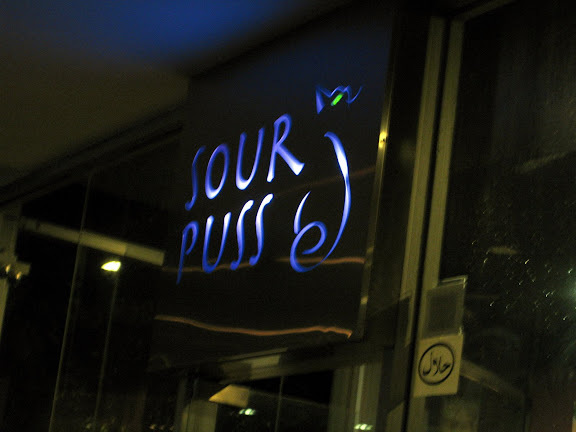 Formerly known as "2Hot Halal Cafe" at the Esplanade, SourPuss cafe emerged out of a marketing makeover following slow business and less than positive reviews. Unfazed by this, I brought Daphne here for dinner and thankfully it turned out alright. The only problem (for many pampered Singaporeans) is that it's al fresco dining and the ceiling fans may not do enough to keep you cool and comfortable especially if it begins to get more humid, as it often is these days. 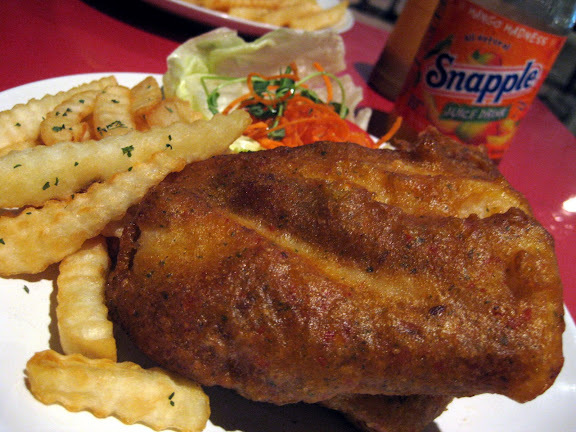 Fried to a deep golden brown, the fish was certainly something unique given its masala-flavoured batter. 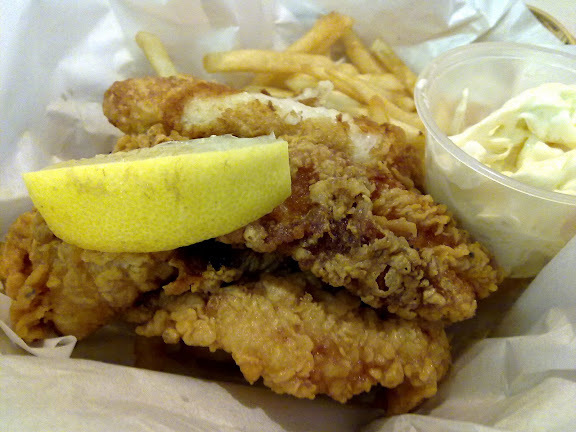 The fish was very fresh and smooth, while the fries were simple but served hot and crisp. Probably one of the better fish and chips that I've tried. Interesting taste indeed. I think the beef burger was disappointing because the patty wasn't thick enough and was just not "beefy" enough for me. The patty was over-cooked as well. 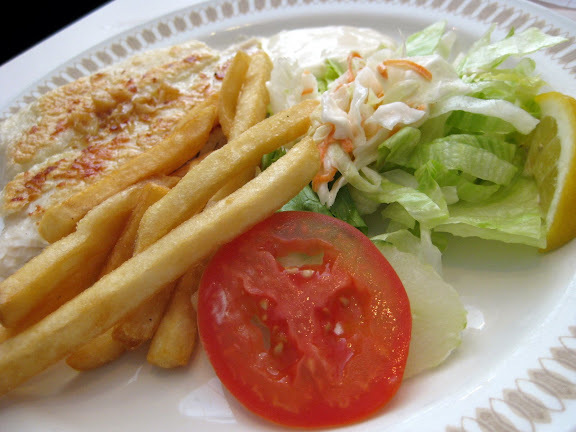 Thank goodness for the healthy portion of fries. One-for-one drinks after nine in the evening. Really good, friendly, obliging and attentive all at once. 2. There are some board games to keep you entertained if you're here with a group of friends. 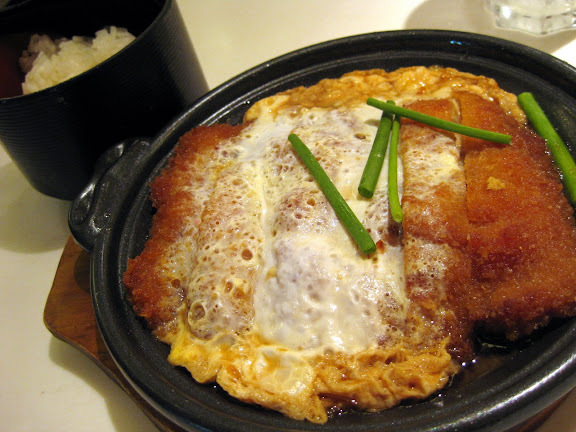 Daphne had a craving for Japanese food, and we settled for Ichiban Sushi at Toa Payoh after realising (quite late, I admit) that it serves almost exactly the same things as their Ichiban Boshi outlets. I'm quite a fan of Ichiban, though I do find myself eating the same thing over and over again because it's really quite good. Yes, this is certainly a favourite of mine. 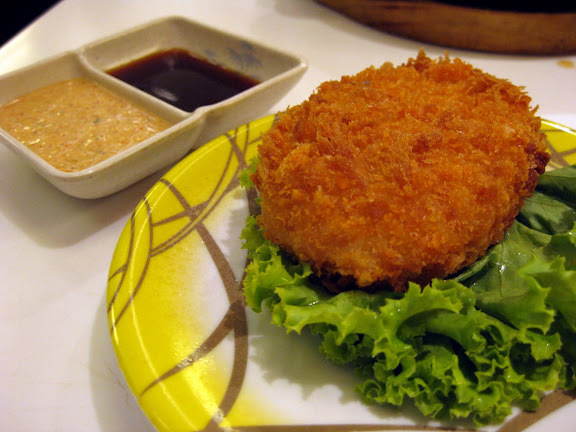 The chicken cutlet is nicely fried without being overcooked, and is nicely tender on the inside while being real crispy on the outside. The egg was smooth and the sweet sauce topped it all off. This is really something simple, but I like it. Don't be put off by the $10.90 tag because it's a relatively large portion. Daphne ordered this but I could tell that she preferred what I had, and quickly nodded when I asked if she wanted more of mine. I think her chicken pieces had too much fat, and didn't quite tantalise any taste buds because they tasted quite bland on their own. Again, something simple, but there's something about the potato that makes it sweet and yet so mushy-like at the same time. Daphne grabbed this off the conveyor belt. She said it was alright. Very very good. The two managers on duty (as I gather from their blue shirts) were very attentive and seemed to leading their service crew quite well. 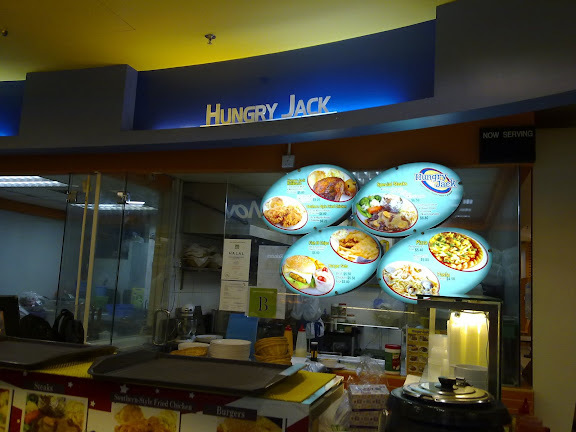 I was wondering if Hungry Jack is the foodcourt-offshoot of Halal western food chain Mad Jack, but a check on the Mad Jack website showed that this is not to be so. One Jack is mad, the other is hungry, how odd. 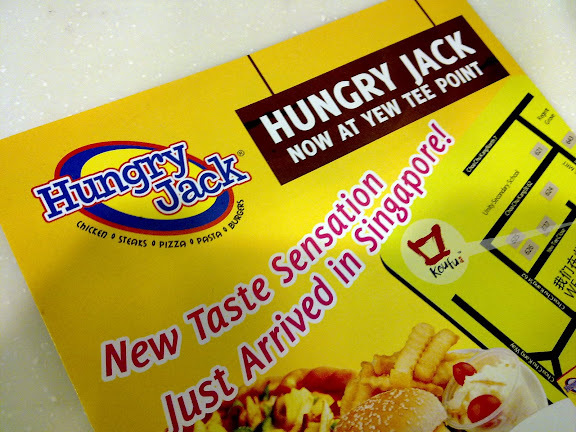 If anything, Hungry Jack appears to be a growing franchise chain of "Western" - Singapore style food at Koufu / Fork and Spoon foodcourts, and its affordable prices are certainly a draw for many. 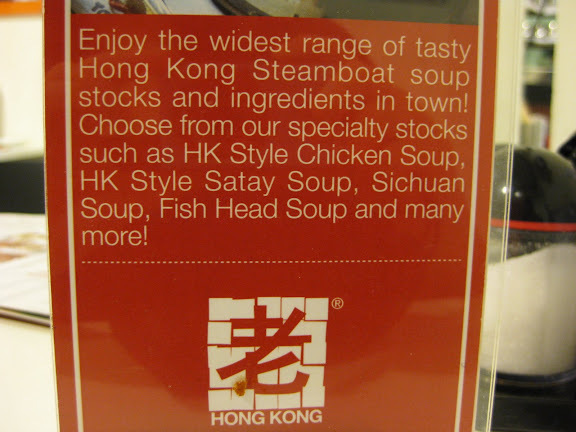 The one here at Novena is Halal-certified, though I'm not sure about the rest of its outlets. And I apologise for the picture quality, taken with my Nokia N85. Not too bad, but definitely not as sharp as a digital camera. I checked: "Rotisserie is a style of roasting where meat is skewered on a spit - a long solid rod used to hold food while it is being cooked over a fire in a fireplace or over a campfire, or roasted in an oven". 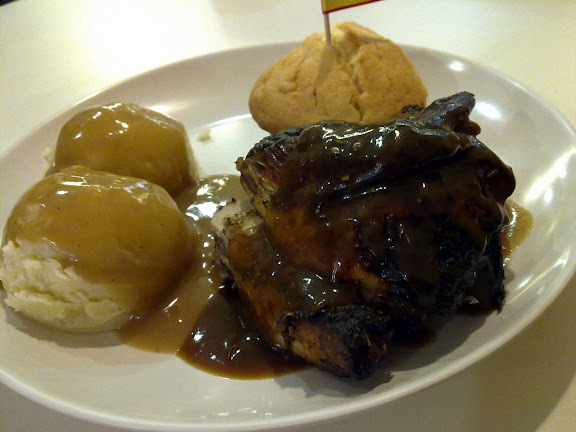 The chicken here is somewhat comparable to the one at Barcelos, though while the latter is a little more tender with a little more marinate and spices, it is also more than twice the price. So it depends on what you're looking out for. 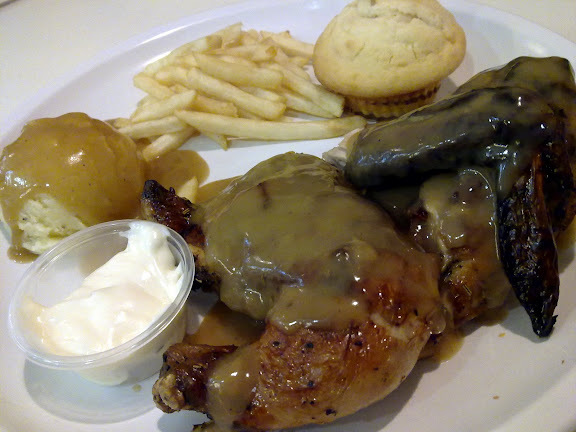 They serve a butter muffin together with the chicken, which I found quite nice but definitely nowhere close to anything out of bakeries or pâtisseries. Still, it was a new complement. It would be better if the fries were more though. Kimberly had the quarter chicken, and as you would probably realise, you could change your sides: coleslaw, fries or mashed potatoes. You need to like your fish and chips crispy and oily, like deep-fried chicken cutlets, otherwise this fish and chips won't appeal much to you. I found it quite tasty actually. I'm a fan of fried food, so I'm biased haha. 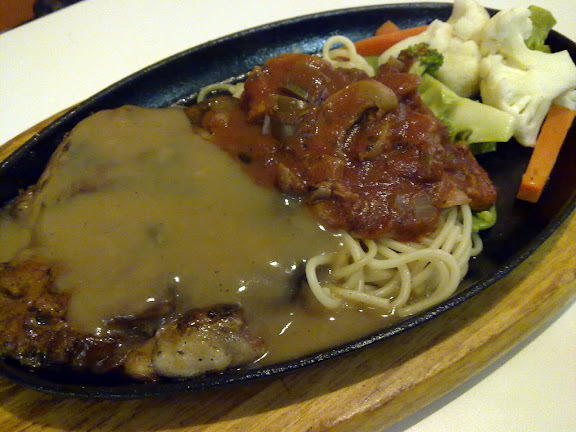 Justin had the spaghetti, and he mentioned that it's quite "value-for-money". 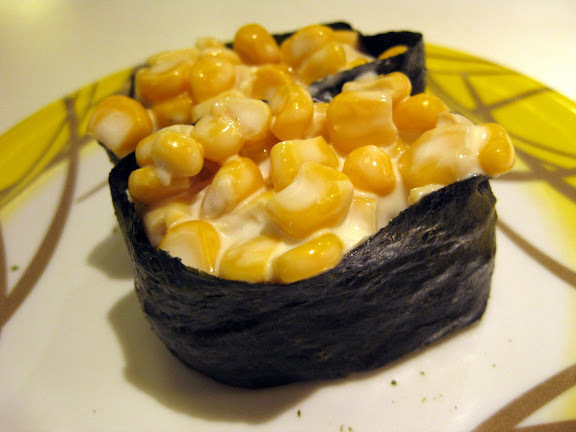 It didn't look as appetising as mine though. For our Muslim readers, take note that while all stalls at the Toa Payoh "Fork and Spoon" foodcourt are certified Halal, the same cannot be said for those at Novena Square 2. No signs of pork or lard though, so it really depends on how particular you are. HK Kim Gary is a pretty popular restaurant for many shoppers at Vivocity (if long queues are of any indication at all) and has since opened another branch at the relatively new Tampines 1 Mall. I was surprised there wasn't much of a line during lunchtime though, but then it was already 1.30pm and the crowd would probably have dispersed by then. The both of us ordered the set lunches, which come with a soup and a drink of your choice. 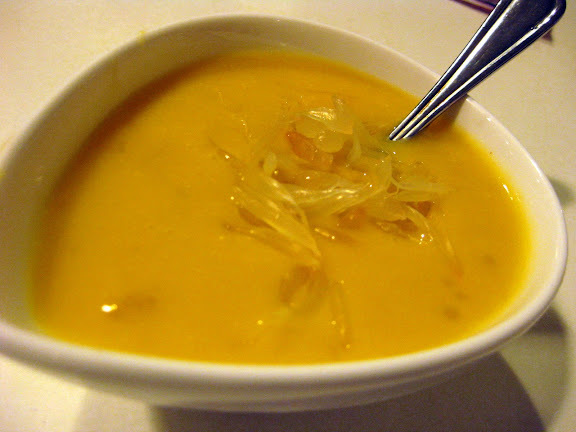 The "borsch" soup, somewhat looking like a cross between vegetable and minestrone soup, didn't look all too appetising, so we settled for this cream (corn) soup. Very standard, quite plain, and well, didn't exactly whet our appetite much. 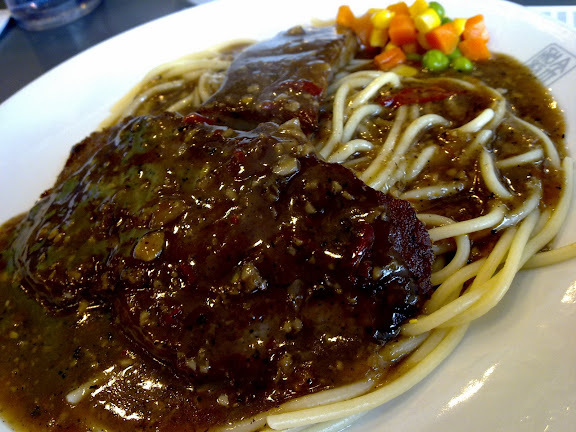 The spaghetti didn't taste all too nice, but its saving grace was definitely the very tender beef cutlet as well as the tasty black pepper sauce. Even after clearing the spaghetti and beef I was still sliding my fork across the plate to have a bit more of the sauce, and it went well with the fries we ordered too. 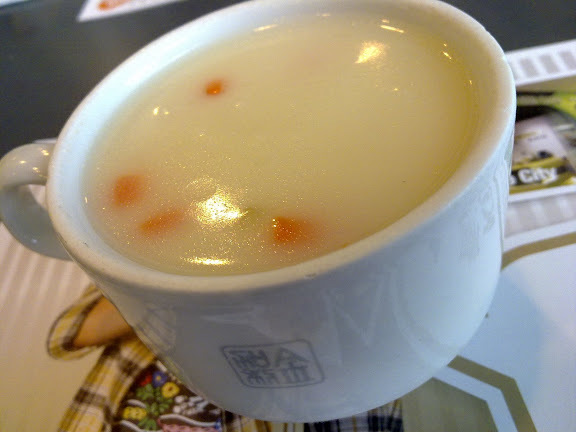 James had this, it does look quite plain but he mentioned that it wasn't as boring as it seems and tastes quite okay. 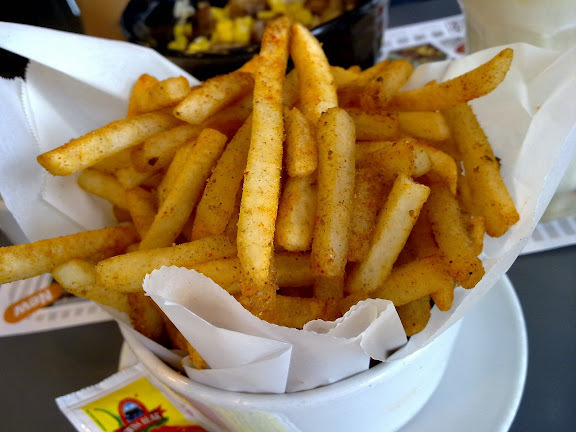 Good call by James for these fries, they were nice and crisp and the spices made them even tastier.